Grooms can make an extra impression with their bride-to-be by accessorising the wedding ensemble with a striking pair of cufflinks. Whether getting married in the stunning tropical surroundings of Thailand or in your home country, guys are going to want to look as sharp as possible on their big day. In terms of accessories for men, cufflinks are perhaps the ultimate symbol of sophisticated, classy style. Not only will the right pair help your outfit stand out from every other tailored suit you end up wearing throughout your life, but the extra attention to detail is also going to give everyone from your groomsmen to your new bride something to admire. Below is a selection of high-end cufflinks for grooms to choose from as accessories to wear on the big day. 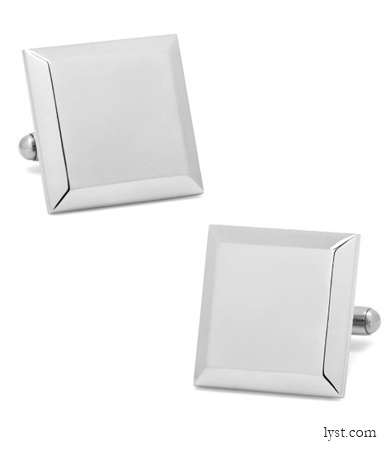 If you’re a fan of simple, understated elegance when it comes to your accessories, then Ox & Bull bevelled stainless steel cufflinks might be just the choice. Not only do they boast a sleek elegance of their own, but they’re also engravable, so you can customise them with any unique message you like. Perhaps this could be the date of your wedding, or yours and your new wife’s initials – the choice is yours. That way, you’ll be investing in a keepsake item that’s always going to remind you of how good you looked and felt on your wedding day. 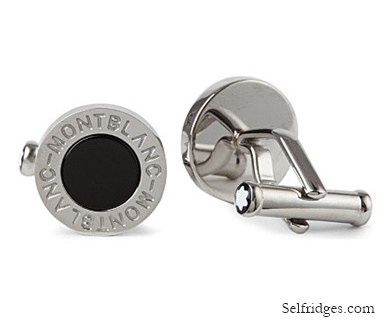 When it comes to cufflinks, for some people, only a couple of brands will do – and Montblanc is up there for many guys. Synonymous with true luxury and style, this brand may well be your go-to choice when it comes to picking up a pair of cufflinks, and we love their Iconic line of accessories. Boasting a powerful, masculine finish, the Montblanc stainless steel cufflinks have a timeless appeal thanks to their classic, round shape and clean platinum finish. The brand-embossed detail and black onyx element infuses these cufflinks with extra wow factor. For independent gents who prefer their style statements to stand out from the crowd as much as possible, Alexander McQueen is a no brainer when it comes to designers. The label offers a whole host of quirky designs, many of which feature its iconic skull embellishment. 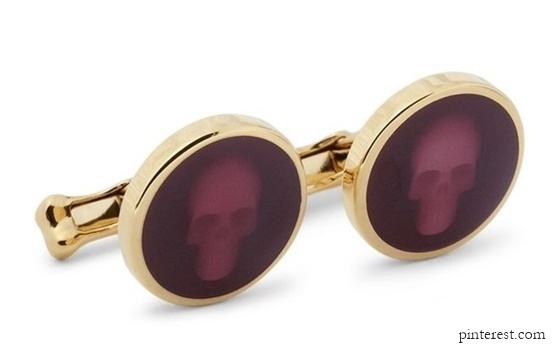 The skull cufflinks have an unusual, gothic charm and capture the true spirit of the fashion label. Oozing lavishness and luxurious appeal, they’re also great for injecting a little bit of fun into your outfit – particularly for grooms who are keen to break away from the traditional look a bit more. For many couples, a wedding day provides a golden opportunity to plan an occasion where everything from the food to the décor scheme reflects their own tastes and passions – and there’s simply no reason why this rule can’t extend to the cufflinks as well. 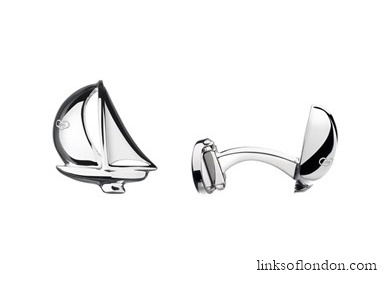 If you’re a fan of sailing – which is highly likely if you’re hosting your wedding in a regional yachting hub like Phuket or Koh Samui – then you’re going to adore the sterling silver yacht cufflinks by Links of London. They are the perfect accessories if you want to look smart, and make a unique style statement at the same time. Last but certainly not least, colourful cufflinks are the perfect accessories if you want to channel the tropical surroundings into your jewellery. 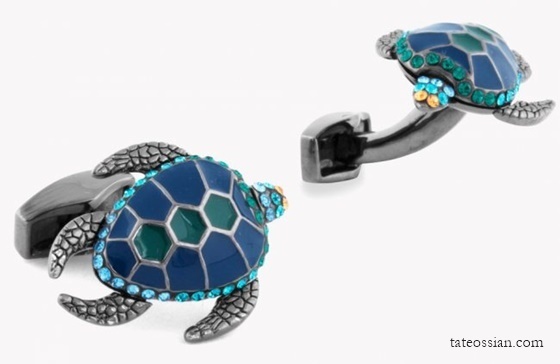 From London-based design house Tateossian, the striking little turtle cufflinks have been designed to accommodate side to side movement, making them that bit more unusual. The Swarovski elements add an extra sparkly flourish, while the bold enamel detailing encompasses the detail of the turtle’s shell flawlessly. All in all, the perfect choice for another quirky groom that wants to add a little colour to his wedding day ensemble.